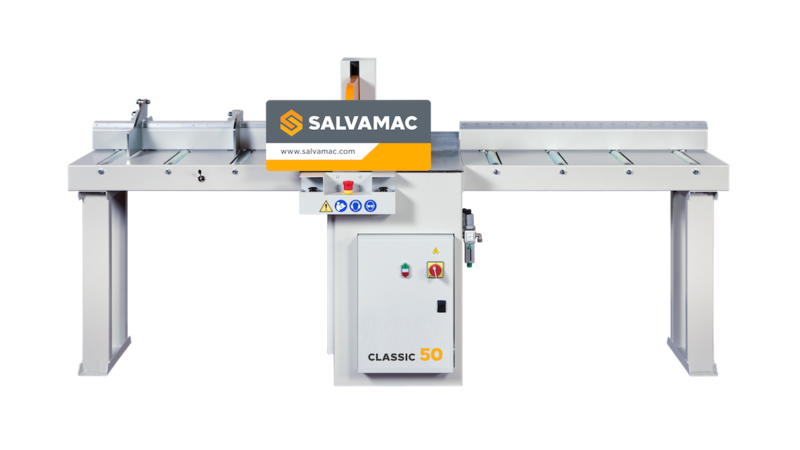 The Classic crosscutting saws are designed and manufactured to work also in hard conditions and with heavy wood. The structure is completely in varnished hard steel, high thickness and really strong. Solid, compact and stable! TWO HANDED SAFETY CONTROL with ergonomic position and the blade protection cover allows to work with absolute safety. Safe, protected and secure! It is so easy to use: just select the stop and press the two buttons to cut. The operator should not perform any special setting or adjustment. Simple, easy and flexible! SalvaStop 100 NC length stop and push.